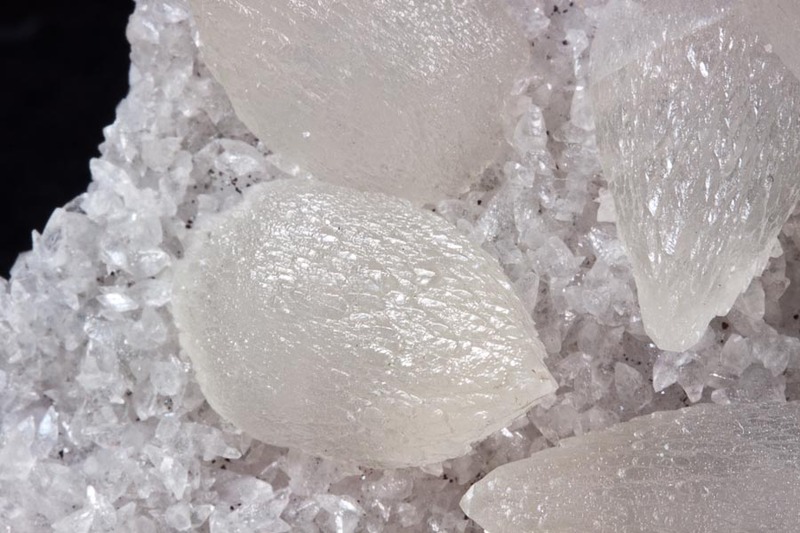 Comment: This specimen consists of matrix that is covered by two generations of scalenohedral calcite xls. Generation one is made up of water clear xls to several mm. The next generation consists of about a dozen nearly perfectly formed "dogtooth" xls. They are off white (pale lemon juice) in color and each "tooth" is made up of a conglomeration or multiple depositions of mini dogtooth shaped xls to form one large tooth (to 2.9cm). Minor pyrite is also found on this piece. No damage to any of the major xls except for along the extraction plane and one cleaved tooth to the smaller xl on the left side of the piece. 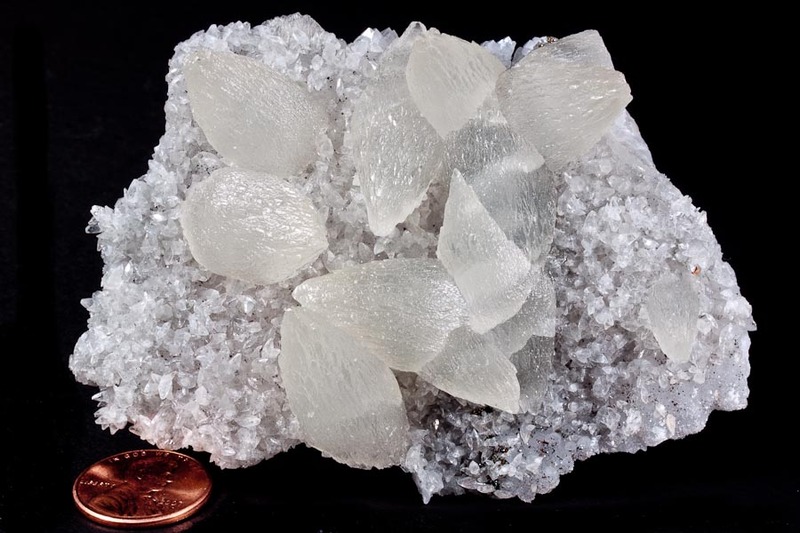 This is one cool rock, and I'm not a big calcite fan. Enjoy!